Two fairly interesting court opinions were issued this week, one by a trial court judge in a bench trial, and the other from the Georgia Court of Appeals, both of which place a dollar value on the life of someone and both of which are, strikingly, very close to each other in amounts. I thought it would be interesting to take a look at them, as the value of a life is something I ponder quite often as a trial lawyer, and it is something I often have to ask juries to do in wrongful death trials. I am currently gearing up for the trial involving the wrongful death of a 23 year old young woman who was a kindergarten teacher in Gwinnett County. The trial will be taking place in Fulton State Court. So the value of a life is at the forefront of my thought these days. Let’s take a look at the wrongful death cases from this week. The first case involves the wrongful death of Bobbi Kristina Brown, daughter of Bobbi Brown and Whitney Houston. I am sure you are familiar with the incident surrounding her death. It was a tragic case. This week, Judge Jackson Bedford of the Superior Court of Fulton County, issued an award of $36 Million for the full value of the life of Bobbi Kristina. You may recall that, like her mother, Bobbi Kristina was found face down in a bathtub full of water. She survived on life support systems in a hospital for several months. The award was made against her life-partner, Nick Gordon. Mr. Gordon was not present at the trial of this case and it appears he may have been in default in the civil suit, meaning he never filed an answer to the lawsuit which would entitle the plaintiff to a trial on damages only, which is, apparently, what occurred. The young woman’s family blamed Gordon, accusing him in the lawsuit of giving Brown a “toxic cocktail” before putting her face-down in the water. Gordon, an orphan three years older whom Houston had raised as her own, has not been charged with a crime. Brown had referred to Gordon as her husband. Investigators with the medical examiner’s office were unable to determine exactly how Brown had died. An autopsy showed she had morphine, cocaine, alcohol and prescription drugs in her body. But the medical examiner couldn’t determine if she killed herself, if someone else killed her or if her death was accidental. Regardless of the amount of the award, it is unlikely that the Brown Family will ever collect a penny of it from Mr. Gordon. It is my understanding that he has no personal assets and could always file bankruptcy against the award. It is important, however, to note that a very seasoned trial judge, Judge Bedford, when faced with placing a dollar value on the life of a person, deemed $36 Million an appropriate number. 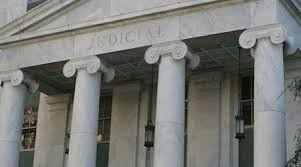 Judge Bedford has presided over many wrongful death trials and is well versed in the law of wrongful death and what factors go into that decision of what is the value of life from the deceased’s point of view. Interestingly, under Georgia law, when determining the value of a life for wrongful death purposes, the jury is instructed they must value the life from the deceased’s point of view, meaning did the person who died value his or her life? The only “tool” the jury is to use to help them with this endeavor is their “enlightened conscience.” What was his life worth to him? What was her life worth to her? Judge Bedford decided $36 Million was the value of the life of Bobbi Kristini Bown. That may seem like a lot of money, but ask yourself this: If it was your daughter who had died, have they printed enough money to compensate for the loss of her? Name a dollar figure you believe adequately reflects the full value of the life of one of your children. It’s hard to think about, isn’t it. Now put yourself in the jurors’ shoes. The second case this week involves the wrongful death of a little boy, Remington Walden, who burned to death in a fiery car crash when he was a passenger in a 1999 Chrysler Jeep Grand Cherokee. Two amazing trial lawyers, a father and son team, Jim Butler and his son, Jeb Butler, tried this wrongful death back in April 2015 in Decatur County (Bainbridge) Georgia. The plaintiffs alleged the 1999 Chrysler Jeep was defective due to the placement of its fuel tank in the rear of the Jeep, making a fuel-fed fire highly likely in a rear-end collision, which is what happened in this case. Unlike the Bobbi Kristina trial, which was a trial in front of a judge who decided the case, this was a good old-fashioned jury trial. The Decatur County jury found for the plaintiffs in the amount of $120 Million. That’s right…$120 Million. The trial judge then reduced or “remitted” the verdict, which is a power the trial court has, in lieu of a new trial. The trial judge reduced the $120 Million verdict to $40 Million , which the plaintiffs’ accepted. Chrysler did not, however, and appealed even the reduced verdict to the Georgia Court of Appeals. Well, the Georgia Court of Appeals this week affirmed the trial court, meaning it agreed with the trial court’s decision to reduce the verdict to $40 Million. Chrysler lost their appeal but has vowed to consider its options to appeal to the Georgia Supreme Court. I’ll be watching for that appeal. There was evidence in the trial that Remy, the little boy, burned alive for 60 seconds. It may seem that the jury thought $2 Million for every second of burning alive was appropriate. Who could argue with that? Who could even argue with $40 Million for that kind of death? Chrysler, I suppose. Chrysler still refuses to accept any responsibility for their defective product and refuses to accept any responsibility for the death of Remy Walden. Contrary to the Bobbi Kristina verdict, the plaintiffs stand to collect every penny of this verdict, plus interest, assuming it is affirmed on appeal by the Georgia Supreme Court. What is striking is that both verdicts, both issued by seasoned trial court judges, were within $4 Million of each other. Both trial courts thought the full value of the life of two individuals, one an adult young woman and one a little boy just four years old, was between $36 Million and $40 Million. Again, I challenge you to put a dollar value on the life of your own loved one, and you will probably conclude $40 Million seems about right. Who could argue with that?